An experienced fundraiser has joined a national charity which is funding scientific research in the South West searching for a cure for brain tumours. 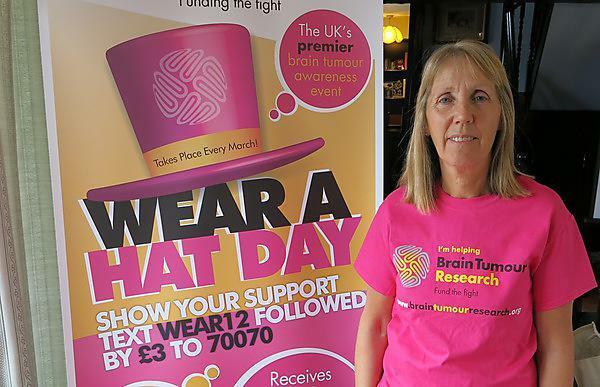 Susan Turnock has been appointed as Regional Fundraising Manager by Brain Tumour Research. She will be responsible for the charity’s fundraising activities in the region, working closely with the team at the Brain Tumour Research Centre of Excellence within the University of Plymouth. With almost 20 years’ experience in charity fundraising, Susan, who is married with three sons, brings a wealth of experience to the role. She has previously worked for Marie Curie Cancer Care, The National Trust, Leonard Cheshire Disability and Exeter Leukaemia Fund. In Plymouth, the research team is led by Professor Oliver Hanemann. Based at the University of Plymouth Faculty of Medicine and Dentistry, the work is focused on low-grade tumours in teenagers and adults. By identifying and understanding the mechanism that makes a cell become cancerous, the team explores ways in which to halt or reverse that mechanism. A key innovation is fast track: testing new drugs in human primary cell cultures leading to innovative phase 0 trials leading to adaptive phase II/III trials with the potential for making drug therapies available to patients both safely and faster.